Disseminating scholarly work as a clinician educator is critical to furthering new knowledge in medical education, creating an evidence base for new practices, and increasing the likelihood of promotion. Knowing how to initiate scholarship and develop habits to support it, however, may not be clear. This perspective is designed to help readers choose and narrow their focus of scholarly interest, garner mentors, find potential project funding, and identify outside support through involvement with national organizations, collaborators, and faculty development programs. By incorporating these suggestions into their daily work, educators can find ways to connect their clinical and educational interests and make their daily work count toward scholarship. Prior Presentations: Presented as a workshop for the 2016 Society of General Internal Medicine TEACH (Teaching Educators Across the Continuum of Healthcare) Program at the National SGIM meeting in Hollywood, Florida. 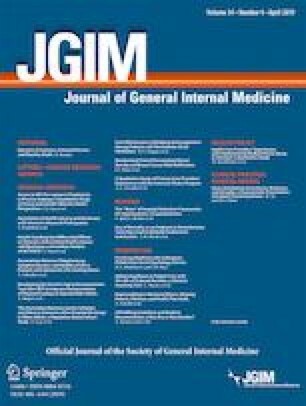 Feldman MD, Arean PA, Marshall SJ, Lovett M, O’Sullivan P. Does mentoring matter: results from a survey of faculty mentees at a large health sciences university. Med Educ Online 2010;15. doi: https://doi.org/10.3402/meo.v15i0.5063. International Committee of Medical Journal Editors (ICMJE). Defining the role of authors and contributors. Available at: http://www.icmje.org/recommendations/browse/roles-and-responsibilities/defining-the-role-of-authors-and-contributors.html. Accessed 16 Oct 2018. HealtheCareers Network. Four benefits of joining your professional healthcare association. Available at: http://news.healthecareers.com/2015/03/the-benefits-of-joining-your-professional-healthcare-association/. Matthew Santomarco on Mar 3, 2015. Accessed 16 Oct 2018. Academy of Medical Educators (AME). Funding sources for medical education research. Available at: http://www.kumc.edu/school-of-medicine/ame/resources/funding-sources-for-medical-education-research.html. Accessed 16 Oct 2018. Emergency Medicine Foundation. Available at: https://www.emfoundation.org/. Accessed 16 Oct 2018. Stemmler Fund, National Board of Medical Examiners Available at: http://www.nbme.org/research/stemmler.html. Accessed 16 Oct 2018. Robert Wood Johnson Foundation Grants and Grant Programs. Available at: https://www.rwjf.org/en/how-we-work/grants-and-grant-programs.html. October 16, 2018. Josiah Macy Jr. Foundation. Available at: http://macyfoundation.org/apply. Accessed 16 Oct 2018.